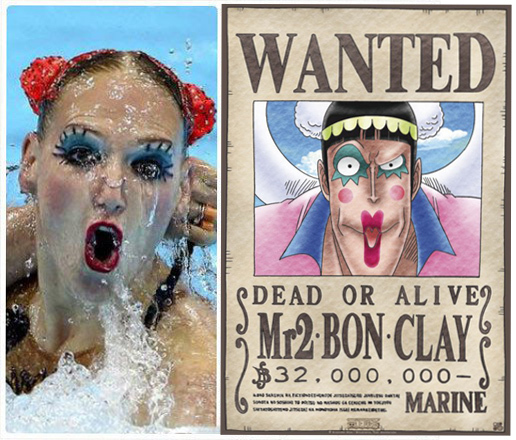 We managed to find one of the most ridiculous One Piece characters – Bentham, also known a Mr. 2 Bon Kurei or Bon Clay while watching the Olympics. A former officer agent of Baroque Works and an okama, he becomes Luffy’s friend after losing in a fight to him. Now the new Queen of Newkama Land, he is currently taking part in the Olympics as a synchronized swimmer.